Do you require insurance cover for the contents? If so you should consult with your insurer before purchasing. They may specify a security Grade or Cash Rating. What is the value of the items being placed inside the safe? If fire protection is needed what length of protection is required and is it for paper or computer media? Do you require any sort of deposit facility? Would you prefer key, Pin code or biometric locking? Would you prefer a free standing safe, an underfloor safe or a wall safe? Security Safes are generally classified in terms of cash ratings. A cash rating is the level of cover that an underwriter will give to the contents of the safe and can generally be multiplied by 10 times for jewellery or similar valuables. A cash rating is therefore also a very good indication of the security level of the safe, the higher the rating, the more security is offered. You should note that different insurance companies ratings vary and higher or lower cover can sometimes be applied depending on the individual circumstances of a property. If it is important you should always check with your insurance company before purchasing a safe. Since the late 1990's there have been European Attack Test Standards that have been widely recognised by the insurance industry. These offer both the consumer and the insurer an independent, unbiased opinion on the security level of a safe. Burton Safes fully support the independent testing of safes and we have put the vast majority of our product range through European and UK tests where there an appropriate standard exists. If you purchase a safe without independent testing and certification you are putting your valuables at risk. Click here to see how easy it is to open some cheaper, non certified electronic safes. In recent years it has become apparent that not all test centres apply the European Standard as rigourously as others. As members of Eurosafe UK, Burton Safes strongly recommend testing/certification via an EFSG (European Fire & Security Group) member - ECBS, VDS, SBSC, ICIM, CNPP- or the LPCB. EFSG members share data and information on current attack techniques, as well as moderating each others' testing. This ensures that the standard is applied equally and just as importantly to a, reliable level. If you purchase a safe that is certified by any other institution, you risk that safe not offering the expected level of security. Below is a summary of the various standards that our safes are tested and certified to, along with their equivalent Cash Rating. Please note that in addition to the above we also offer our own in-house quick reference guide to the security offered by our products accross our entire range (see the black security chain symbol). The higher the number the higher the security level that is offered. Where you see the AIS (Association of Insurance Surveyors) logo on our products you can rest assured that this safe will be given its full rating by all major UK insurers. The badge means that the AIS have been given a copy of the test certificate and have recognised it to be a)valid and b) from a reputable test house. The safe will be listed in their Official Safe List that is used by many insurance companies around the country. Many, safes in the Burton product range will offer some protection from fire. However, like the cash ratings on a security safe, there are different levels of fire protection. There are European and American standards for fire protection which offer reliable, unbiased opinions on the reliability of a fire safe. These are generally broken down into safes that will protect paper documents and those that will protect computer media. The later is destroyed at a much lower temperature and so a specialist datasafe is required. Below is a list of the fire safe standards that our safes are tested to. Please note that plate/single walled safes offer very limited protection against fire. You should also be very wary of any models which claim to have in-house tests, rather than official ratings. Any of our safes that have been independently fire tested are clearly labelled as such. We also show an in-house guide to the level of proetction offered across our entire range (see the red/organge flame symbol). The higher the number, the greater the fire protection that is offered. EN1047 60D: 60 minutes fire protection for data/computer media at temperatures of up to 900ºC. EN1047 60D: 90 minutes fire protection for data/computer media at temperatures of up to 900ºC. EN1047 60D: 120 minutes fire protection for data/computer media at temperatures of up to 900ºC. Most safes come with a key lock as standard. This is normally the cheapest and most reliable locking method. The disadvantage of safe keys is that they can be bulky to carry and it is obvious to onlookers exactly what they are. They can also be lost or copied, compromising the security of the safe. The new Torino Eurokey offers the option of keylock, using a standard euro cylinder and so they key profile is smaller and more convenient to carry than most safe keys. It also looks like a house key, so is less conspicuous. Electronic safe locks are far more convenient than keys and are generally reliable. Cheap electronic locks from unknown suppliers should be avoided. They are less reliable and usually offer very low security levels. There are many videos on You Tube showing how easy it is to open cheap electronic safes. Any electronic safe under about £100 retail is best avoided in our opinion. Electronic safe locks can have various features that offer an advantage over keys. There are different levels of lock at different price points. Usually the more features required, the more expensive the lock. Electronic locks offer the option of linking to alarm systems, have audit trails, multiple users, single use codes (one time codes), time delays and time windows. The main disadvantage of a PIN code lock is that it is possible to forget your code. It is now possible to have fingerprint locking on many modes in the Burton Safes range. The advantage of this is that there are no codes to remember or keys to carry. It is very simple to use and we are big fans of this access method. Once programmed, all you need to do is press on and swipe two fingers to gain access. Burton Safes are the first company to bring Palm Vein recognition to the safe industry and we are also exploring the possibility of Iris Recognition too. Both of these technologies offer significant advantages over traditional fingerprint technology but at the moment it is only economical to use them on high value projects. Audit trail allows you to look back at the history of events on the lock. See who gained access on specific dates and times. This helps prevent internal fraud in commercial environments. Time delay will delay the length of time taken for the lock to open after a correct code is entered. This is very useful in retail and bank environments to deter robbery. The longer a criminal has to wait for the safe to open, the greater the chance of the police arriving. Time lock/windows allows you to programme specific times and days of the week the safe can be opened. Outside of this period it is impossible to open the lock. e.g. Programme the lock to only open between Monday- Friday 9am-5pm. This prevents fraud and robbery. Dual user means that 2 different user codes must be entered to open the safe. This helps prevent internal fraud. Silent alarm/Duress code allows for an alarm to be sent to the Police or a monitoring station in the event that you are forced to open your safe. If you are being held up you can enter a special code (normally one digit different to the regular code) that will open the safe but send a signal to indicate that you are in distress. TCP/IP – It is possible to control, programme and download audits from certain locks remotely via TCP/IP connection. These are often of interest to organisations with multiple sites. OTC – It is possible with some locks to programme One Time Codes that will only operate once. These are often used by cash in transit companies. In certain business situations it is required that staff can deposit into a safe without having access to the contents. There are various methods of depositing into safes, from a simple slot to a drawer system. Adding a deposit system increases the vulnerability of a safe and an insurance company will often downgrade the cash rating. It is possible to use tested deposit systems which meet the requirements of EN1143-2. These will offer a high level of security against both attack and phishing/manipulation. 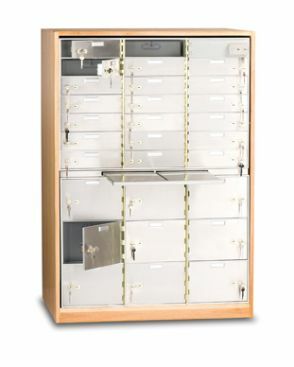 Free Standing safes – These stand on the floor and are bolted down either to the floor or the wall. Along with cupboard safes this is the most popular type of safe. Cupboard safes – These are a smaller type of freestanding safe. Typically located in a cupboard or under the staircase they are fixed to the floor or wall. Wall Safe – The same as an underfloor safe but located in the wall. They are very reliant on the wall into which they are fitted for their security. If using a wall safe, you must ensure that the wall is thick, secure and not easily accessible from the outside. A brand you can trust - Burton Safes have been trading for 23 years and have built a well earned reputation for product quality, reliability and good customer service. We are active members of both ESSA (the European trade assocation of physical security manufcaturers) and Eurosafe UK (the UK safe industry's leading trade body). We are also members of the Police run initiative Secured by Design, the Master Locksmiths Assocation and Raid Control. We hold ISO9001 accreditation and we are Safecontractor Approved. Tested products – It is Burton Safes policy to get all products independently tested where there is an applicable standard. This gives both you and your insurance company peace of mind that your safe is of the highest standards and will perform to the level required. We strongly believe in using test houses and certification bodies with a good reputation, that are recognised by all major UK insurers. We currently use the following institutions to test and certify our safes: ECBS, VDS, SSF/SBSC, IG/ICIM and Sold Secure. High quality product – We pride ourselves in offering good quality products. We realise that our long term reputation depends on it and work hard to ensure that all customers receive a good experience. We have rigorous quality control checks both at our factories and in our warehouse. 2 Year Warranty – All Burton Safes branded products carry a minimum 2 year warranty in respect of materials & workmanship*. Proline products have an extended 3 year warranty. Please note that Keyguard Security branded products carry a 12 month warranty. Vast product range – As safe specialists we have one of the largest ranges available in the UK. Most of our product lines are carried in stock and are therefore available within 2-3 working days. Customisation – If you cannot find the safe you are looking for in our standard product range then we will make it for you. We supply a large number of special production and customised safes to our customers every year. So whether you would like your safe painted pink or you require a very specialised function to solve a particular problem, Burton Safes can help you. Expert advice – We know our market very well and are always on hand to answer your queries and give you the best impartial advise. We have a team of engineers, installers and salesmen who can visit site to discuss your issues in more detail, if your query cannot be answered over the phone. Nationwide coverage, including over 200 stockists – We supply our safes via a nationwide network of resellers. There are over 600 resellers in total, with around 200 carrying stock that you can go and look at. These stockists can not only show you the product but can also advise, install and service your safe in future years. Our large coverage of resellers means that you can deal with a local company and benefit from all of the advantages that brings. *warranty on the lock is limited to that offered by the lock's manufacturer. Any business that deals in cash should own a safe to protect against losses through Robbery, Burglary and Internal Fraud. They should also consider the deterrent effect of owning a safe in securing the safety of their staff and avoiding damage to wider store property. Any sensitive government data should be stored in a safe or secure cabinet to protect against theft, espionage or fire. Pharmaceutical companies need safes and Strongrooms for storing "Controlled Drugs" in line with Home Office guidelines and also for storing confidential documents. Should have safes and/or secure cabinets to store confidential data against loss through fire or theft. Should have room safes or safe deposit boxes for guest usage. They should also have cash safes for the reception areas. Should have a safe to store petty cash and confidential documents against theft or fire. Often people are required to have a home safe by their insurance company if they own valuable items. However, we believe that everyone should own a safe to store important and confidential documentation, family heirlooms, general valuables, jewellery, computer and camera equipment. Once people start to think about their possessions and what they would loath to lose the list stacks up. Customers who buy safes often say they find more and more valuables that they wish to store away. The list below is a suggestion of some of the items you should consider protecting.